Cut up french bread into 1 inch cubes, toss into the crock pot. Add in the diced Apple Pears, pecans, and chia seeds. In a large bowl, mix together the eggs, egg yolks, half & half, milk, cinnamon, vanilla, brown sugar using a hand immersion blender or a whisk. Pour over the bread and stir 1-2 times to coat all the bread and distribute the Apple Pears and Pecans throughout. 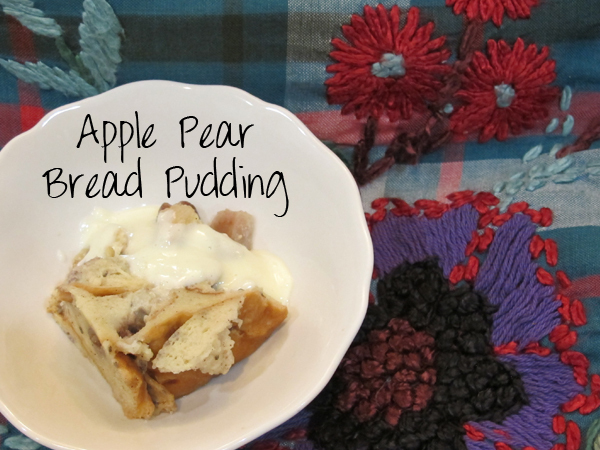 Serve with a side of vanilla pudding or custard.